Big U.S. Companies Are Weighing In On This Week's 'Brexit' Vote, Too : Parallels U.S. firms that do business in the United Kingdom, such as Mars and Chase, are speaking out against the idea of the U.K. leaving the EU. They say it would complicate their operations in Europe. Jamie Dimon, head of JPMorgan Chase, recently warned of potential job losses in the United Kingdom if the U.K. votes to leave the European Union. When British voters go to the polls on Thursday to decide whether the United Kingdom should remain in the European Union, a lot of people on this side of the Atlantic will be watching as well. U.S. companies with large operations in the U.K., such as Cisco, JPMorgan Chase, Ford and General Electric, have already spoken out against "Brexit," even hinting that it could force them to lay off workers. JPMorgan Chase CEO Jamie Dimon generated headlines recently when he told employees at his company's Bournemouth, England, offices that the bank served a lot of its European clients from its British offices. "After a Brexit we cannot do it all here and we will have to start planning for that. I don't know if it means a thousand jobs, 2,000 jobs. It could be as many as 4,000," he said. Many U.S. companies have long used Great Britain as a kind of gateway to Europe, lured by the common language and its relative friendliness toward business. The giant food company Mars has a dozen manufacturing plants in the U.K., turning out candy and other products for sale throughout Europe. I think the big issue for American companies is the uncertainty that would come after a Brexit vote, because it's unclear what that world would look like. "It's really a country that has been of tremendous importance, and it's really very critical for the history of Mars," Matthias Berninger, vice president of public affairs, said in an interview with NPR. Because of the U.K.'s membership in the EU, Mars can freely sell its products throughout Europe and transfer employees without worrying about visas. It also gets to deal with a single set of labor and product safety standards. "If you think about formulations of products, the food safety standards, the production norms for factories — there is a ton of benefits from having the same standards across the whole European Union," Berninger said. If the U.K. goes its own way, the current rules could be swept aside, leaving a huge amount of uncertainty about manufacturing, exports and distribution. "It is very difficult to predict what a Brexit would do to our factory network, but we know it's going to be much more complicated. There's clearly no upside in the Brexit for manufacturing in the U.K.," Berninger adds. "I think the big issue for American companies is the uncertainty that would come after a Brexit vote, because it's unclear what that world would look like," said Dartmouth economist David Blanchflower, a former member of the Bank of England's Monetary Policy Committee. U.S. Commerce Secretary Penny Pritzker agreed. "If there was a decision to leave, then there would have to be a renegotiation of all the various agreements that exist today," she told NPR. "That will create incredible uncertainty that could have a ripple effect." It's not just big companies that will be affected, says Emanuel Adam, head of policy and trade at BritishAmerican business, a coalition of companies of both sides of the Atlantic. The firm recently surveyed its members and found overwhelming opposition to Brexit. Small companies that are trying to break into the European market can now work out of the U.K., knowing that they have to go through a single approval process. Brexit would change that, Adam said. "This would add another process, which for a small company can be crucial in terms of what they're able to do," he said. One potential pitfall for American companies would be Brexit's effect on currency rates. A decline in the value of the pound would make manufacturing cheaper in the U.K. but would also cut into revenue that companies make there. Either way, the expected turmoil would be more trouble than it's worth. "What's important for us as a business is stability, particularly stability in trade, and that's important because that allows us to build a strong business in the U.K. for the over 14,000 folks that are part of the Ford team there. And that's why our position has been that it's beneficial for the U.K. to be part of a single market," said Robert Shanks, chief financial officer at Ford, during an April conference call with analysts. Whether comments like these will have any impact on Thursday's vote is anyone's guess. Leave.EU, the main U.K. group supporting Brexit, did not return messages seeking comment. But the group has bristled at the idea of foreign companies interfering in U.K. politics. 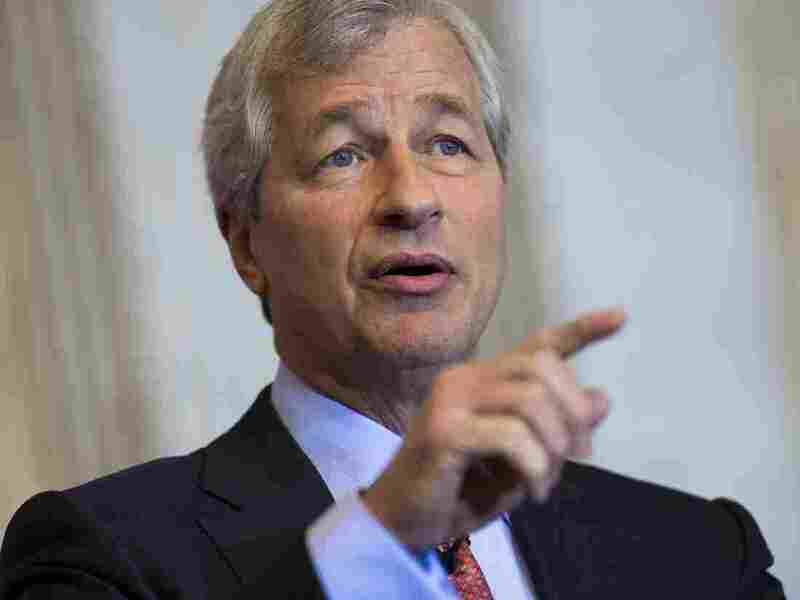 When Dimon hinted that JPMorgan Chase might lay off workers if Brexit passes, the group issued a scathing press release noting that the bank had already been "laying off thousands of people in London." It also recounted the bank's many legal and regulatory problems. "These are the sorts of people [the anti-Brexit campaign] is turning to for moral support and financial backing," it said. "Who next? Bernie Madoff?"